According to a recent report, cesarean sections, or 'C-section', rates are the highest in nearly two decades. WEWS is WCPO's sister station in Cleveland. 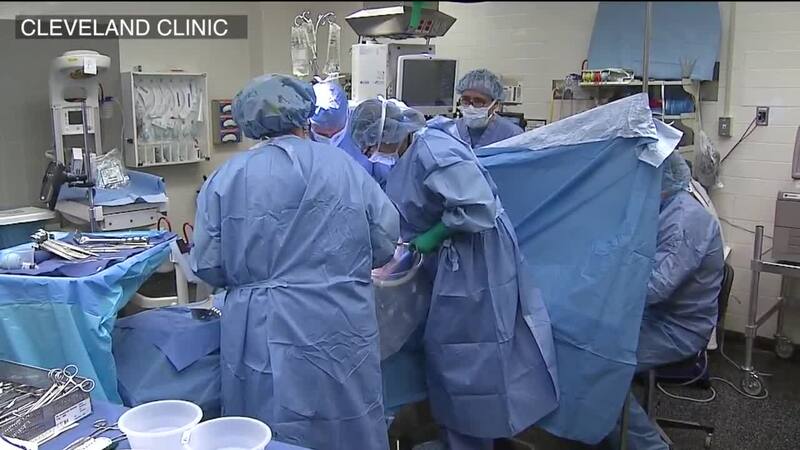 The Cleveland Clinic said the trend is so high that 1 in 3 babies in the U.S. are now born via C-section. "It's a significant health burden, it's a significant medical burden and economical burden," Dr. Selena Zanotti said. "1 in 3 is definitely a high rate and there are things we can do to lower that rate." Dr. Libby Buckley, dentist in Berea, is a mom of two. She gave birth to both of her children via C-section. "Both of my kids wanted to stay inside me forever. They didn't want to come out." Dr. Buckley said her doctor decided to induce her during her first pregnancy because her son was a week overdue. However, she wasn't dilating. Then came the emergency procedure. The surgery itself went well, however it was her recovery that was a bit rocky. "I was shaking a lot. Then they gave me my son and I was scared. I didn’t want to hold him I was afraid I was going to drop him. I was kind of freaking out a little bit," Dr. Buckley said. "I think it was the pitocin. Coming off of that was a bit rough." So when Dr. Buckley was pregnant with her daughter about two years later, she wanted to try to give birth naturally. “I didn’t want to pick out the date of my child’s birth," she said. But naturally, her daughter was also a week overdue, so again she gave birth via cesarean. Dr. Buckley's story is just like so many others across the country. Dr. Zanotti said there are several contributing factors to the increase rate, including obesity, the number of older first time mothers plus a change in the medical legal system. "There are a lot of physicians who practice safer medicine. There's a lot of fear of being sued in this country and because of that cesareans may be getting done earlier than before," Dr. Zanotti said. However, the rising rates is catching the attention of national agencies, like the American College of of Obstetricians and Gynecologists’, ACOG. The ACOG recently updated their opinion called 'Cesarean Delivery on Maternal Request.' In the opinion, it states "in the absence of maternal or fetal indications for cesarean delivery, a plan for vaginal delivery is safe and appropriate and should be recommended." Dr. Zanotti said the Cleveland Clinic is also working towards reversing the trend. She said last year the Clinic had a 22% rate for cesareans for first-time moms. “Which is fantastic. That’s taken a lot of work on our part as well," she said. Dr. Buckley's advice - give birth naturally if you can. "To me, it’s not worth it. A surgery is a surgery, I’d rather do it the way we’re supposed to unless the doctor comes in and says this is the only way to go," she said. But it is important to remember, C-sections may be the only option for some mothers for a chance at a healthy baby. 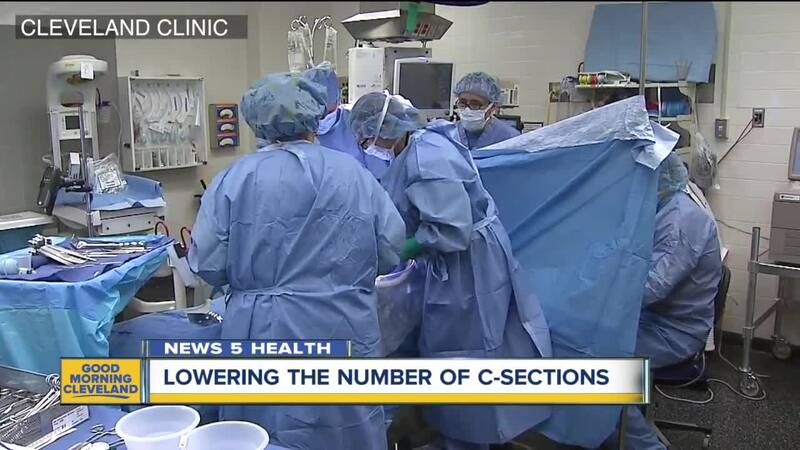 “C-sections are needed, c-sections are definitely indicated in a lot of medical conditions but we just need to be cautious on how many we’re doing,” Dr. Zanotti said.